What if superheroes had fought in Vietnam? Written by John A. Short. Illustrated by Alwyn Talbot & Alex Paterson. Cover by Vince Danks. 109 pages. Black and white with colour covers. Softback. American comics format. Collecting the first four, sold out issues of this critically acclaimed series. 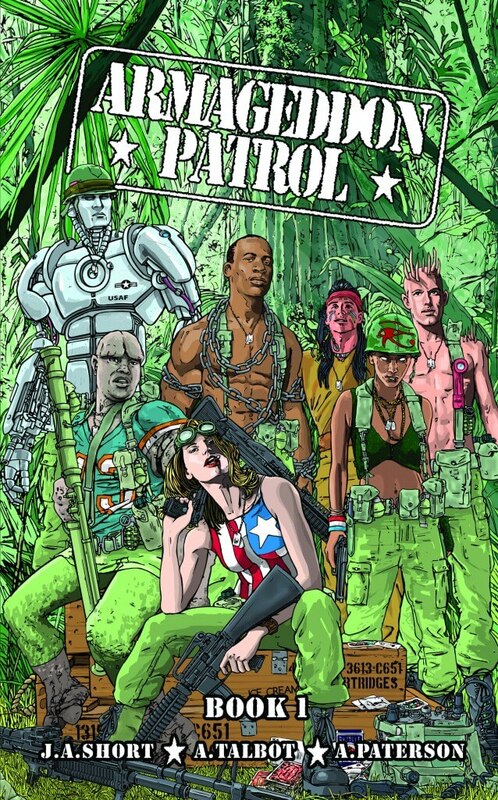 Join Maiden America and her squad of drafted super-soldiers into the steaming jungles of 1960s South East Asia. 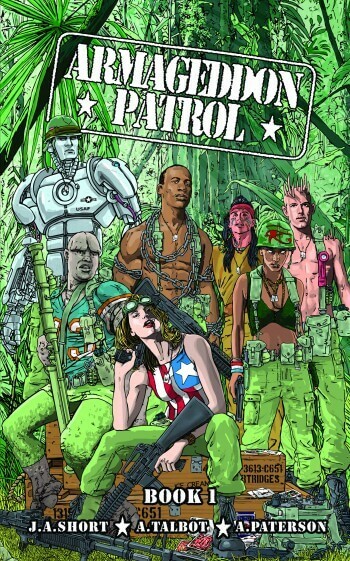 Comics International said, ‘Maiden America could give Sergeants Rock and Fury lessons in cigar-chomping attitude’. Dave (Cerebus) Sim said, ‘Doing for realistic superheroes what Apocalypse Now did for realistic war movies’. The Escape From Tomorrow Blog said ‘Platoon meets the X-Men’. Contains swearing and violence.